Mobile Dry Cleaning pickup services in Chifley, Sydney and surrounding suburbs. Save time in your weekly with the #1 Dry Cleaning Service in sydney. 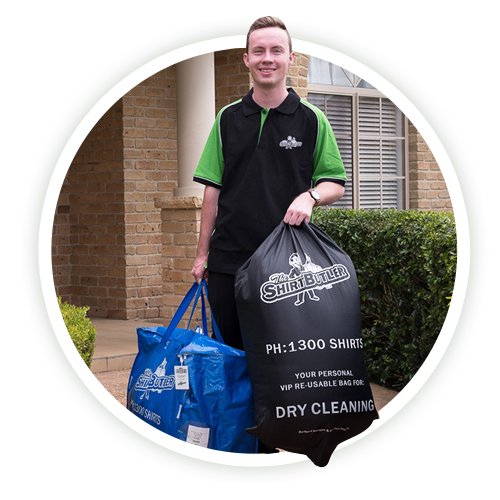 The Shirt Butler offer a door to door pickup and delivery dry cleaning service in Chifley and surrounding suburbs. We’re focused on simplifying the chore of laundry for our customers. 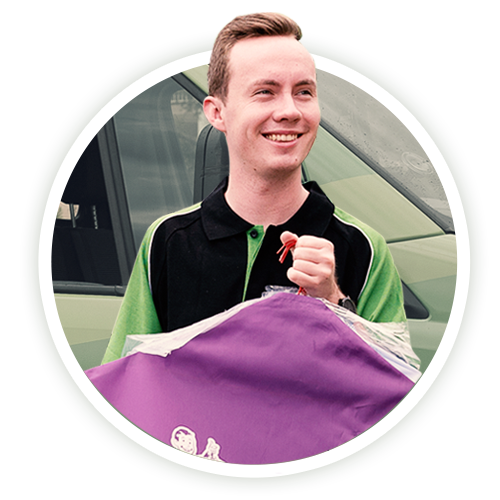 All you need to do is book in a pick up online, or call one of our friendly staff, and we’ll send you out a set of colour coded cleaning bags for your first pickup. Get laundry and ironing services from as low $1.15 per ironing item or 14.95 for wash and fold. Each bag you receive is for a different service, clearly denoted on the outside of the bag. Each bag has your unique barcoded bag tag so that we can track your items – by service, throughout the process. Wash & Fold is the clothing that you would normally wash yourself in a washer & dryer. Generally, clothing marked as safe for the washer and dryer (even low heat only) can be sent through as Wash & Fold. 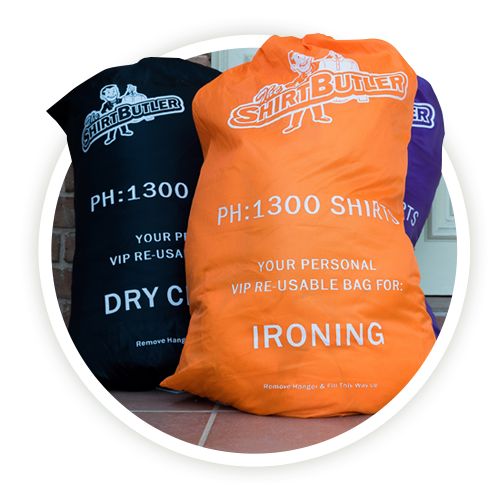 The Shirt Butler is the #1 growing mobile dry cleaning service in Sydney. Our customers enjoy the ultimate in convenience with a tracked dry cleaning and laundry service from your door to delivery. You’ll receive sms pick-up reminders to delivery confirmations and email tax receipts, we will keep you informed every step of the way. We use omo sensitive cleaning products which are kind to your skin and have cleaning processes that guarantee your garments are returned in the same state that you gave them to us. Wondering if we service your home in Chifley? We absolutely do! The Shirt Butler services a large number of suburbs in Sydney with more coming all the time. All you need to do is book online, or call our team, and we’ll organise a pick up date and time according to the schedule in your area. If you have a question about our services then don’t hesitate to get in touch with our friendly team or by viewing the FAQs listed below on our our FAQ page.